Draft: 2011, Washington Nationals, 32nd rd. He and his wife, Sarah, have a son, Bennett Bear… played three seasons at Mercer (Ga.) University (2009-11)… a business major, was named to the 2011 Capital One Academic All-America third team… is a 2008 graduate of Walton H.S. (Ga.), where he won a state championship as a junior in 2007… also played football and was named Cobb County "Returner of the Year"… was selected by the Atlanta Braves in the 16th round of the 2008 First-Year Player Draft but did not sign… his father, Robert, was a running back on the 1974 New York Jets, starting 2-of-14 games and gaining 158 yards on 40 carries and 83 yards on 11 receptions with one touchdown catch; played for the University of Georgia… his sister, Abbey, is a member of the U.S. Paralympic Swim Team. Played in 102 games at Triple-A Omaha and batted .255 (96-for-376) with 51R, 9 doubles, 1 triple, 4HR, 36RBI and 10SB… was designated for assignment on 2/28 and outrighted on 3/4… following the season, played in 29 games for Jalisco of the Mexican Winter League and hit .268 (33-for-123) with 17R, 2 doubles, 1 triple, 4RBI and 10SB. Went 1-for-6 with 1R in 7G over two stints with the Royals (6/3-6, 7/17-22)… spent the majority of season at Triple-A Omaha, where he hit .285/.369/.328 (101-for-354) with 50R, 7 doubles, 4 triples, 22RBI and 24SB in 99 games. Acquired by Kansas City in a trade that sent Brett Eibner to Oakland on July 30...Appeared in 24 games with the Royals…hit .281 (9- for-32) in eight starts and went 0-for-5 off the bench… made four starts in center field, two in left field and two in right field...Recorded his first stolen bases as a Royal on Aug. 31 vs. the Yankees, swiping second and third as a pinchrunner in the 11th inning...Matched a career high with three hits and reached safely a career high four times in Kansas City's 8-3 win vs. the White Sox on Sept. 19...His only RBI with the Royals was a walk-off sacrifice fly in the 11th inning on Sept. 27 vs. Minnesota, his second career walk-off RBI (also, walk-off single on June 17, 2016 vs. the Angels)...Hit .286 (24-for-84) with two outs on the season, but was just 2-for-11 (.182) with two outs as a Royal...Batted .278 (22-for-79) as a left-handed batter, 58 points higher than his .220 average (51-for-232) as a right-handed hitter...Recorded 17 stolen bases in 22 chances, including three steals in five attempts with the Royals…his 43 steals since the start of 2015 rank sixth among American League players. Batted .294 in 125 games in his rookie campaign and set an Oakland single-season record for batting average by a switch-hitter…it was the second best mark in Athletics history to Dave Philley, who hit .303 for the 1953 Philadelphia A's…it was the second best mark in American League history by a rookie switch-hitter to Lu Blue, who hit .308 for the 1921 Detroit Tigers (source: Stats, Inc.)…it was fifth best in modern Major League history (since 1900)…led the A's in batting, runs (70), hits (153), triples (9) and stolen bases (26)…led ML rookies in stolen bases and multiple hit games (47)…topped AL rookies in hits, ranked second in runs and total bases (204), third in triples, sixth in RBI (42), seventh in walks (26) and tied for seventh in doubles (18) and extra base hits (32)…set an Oakland record for singles by a rookie with 121, breaking the mark of 117 set by Brent Gates in 1993…his .294 batting average was second best in Oakland history by a rookie (Mitchell Page, .307 in 1977), his nine triples fell one short of Luis Polonia's rookie record of 10 in 1987 and his 47 multiple hit game were two short of the mark of 49 set by Brent Gates in 1993 and matched by Terrence Long in 2000…his 153 hits and 26 stolen bases were sixth best in Oakland history by a rookie…tied for third in the AL in stolen bases, ranked sixth in at bats per grounded into double play (104.0), tied for sixth in triples and ninth in stolen base percentage (76.5%) and batting average against left-handed pitchers (.315)…his nine triples tied for the third best single season total in Oakland history and were the most since Eric Byrnes also had nine in 2003…ranked eighth in the AL with a .326 home batting average…it was the eighth best home batting average in Oakland history and the best since Mark Kotsay hit .346 in 2004…appeared exclusively in center field on defense where he made a team-leading 118 starts…batted .296 in 125 games overall in center, which ranked third in the AL and was the fourth best mark by a center fielder in Oakland history…also hit .327 when leading off the game, .315 against left-handed pitching and .305 with runners in scoring position…batted .282 or better in four of his five months…had a high of .327 in May and a low of .258 in July…had 38 infield hits, which ranked second in the majors (Gordon, MIA 52) and were the most by an Athletic since Stats, Inc. began tracking infield hits in 1987…hit .479 with four of his five home runs when putting the first pitch in play…his 56 first pitch hits were second most in the majors (Altuve, HOU 57) and were the most by an Athletic since Stats, Inc. began tracking pitches in 1988…ranked third in the AL in first pitch RBI (22)…swung at the first pitch in 49.9% of his plate appearances, which was the highest mark in the AL and second highest in the majors (Byrd, CIN-SF 50.0%)…was ninth in the AL in fewest pitches per plate appearance (3.49)…had the fifth highest at bat per home run (104.00) and at bat per RBI (12.38) ratio in the AL…made a team-leading 114 starts batting leadoff…also made three starts in the eight spot and one in the two spot. Was named the Washington Nationals Minor League Player of the Year after batting a combined .315 with 96 runs scored and 74 stolen bases in 121 games with Single-A Potomac and Double-A Harrisburg…added 72 walks and was hit by a pitch 14 times for a .425 on-base percentage…ranked third in all of minor league baseball in stolen bases behind Micah Johnson (84) and Billy Hamilton (75)…was sixth among full season minor leaguers in on-base percentage…spent most of the season at Potomac where he was named to the Carolina League Midseason and Postseason All-Star teams…led the league in stolen bases (54), on-base percentage (.422) and triples (9), ranked second in batting (.312) and tied for 10th in runs (70)…averaged 10.86 plate appearances per strikeout, which was also the best figure in the CL…batted .339 (37-for-109) against left-handed pitching compared to .307 (103-for-335) against right-handers…hit .278 with the bases empty, .385 with runners on…including .372 with runners in scoring position…did not homer for the second consecutive season and has gone 259 games and 927 at bats since hitting his only professional home run Aug. 1, 2011…had a .514 batting average in the sixth inning and hit .411 in innings four through seven…with Potomac, he hit .368 at home compared to .234 on the road…overall, appeared in 86 games in left field and 35 in center field…committed just two errors in 119 games overall in the outfield for a .992 fielding percentage…had seven assists…batted leadoff in all but one game, an 0-for-1 performance in the ninth spot in the order…recognized by Baseball America as having the "Best Strike-Zone Discipline" and being the "Fastest Baserunner" in the Nationals organization following the season. Spent his first full professional season at Single-A Hagerstown where he batted .322 in 113 games…added 65 walks and was hit by a pitch 13 times for a .432 on-base percentage…the on-base percentage ranked second among all Single-A batters and fourth among all full season minor leaguers…was successful in 38-of-47 (80.9%) stolen base attempts…ranked second in the South Atlantic League in on-base percentage, third in batting, tied for fifth in hit by pitches (13), tied for sixth in runs (83), tied for seventh in stolen bases and tied for 10th in walks…ranked third in the Nationals farm system in batting and stolen bases…led Hagerstown in runs, stolen bases, sacrifice hits (8) and hit by pitches…hit .324 against left-handed pitching, .320 against right-handers…however, drew 54 of his 65 walks against righties for a .452 on-base percentage (compared to .394 against lefties)…had a .393 batting average with runners in scoring position…batted .300 or better in all five months of the season…hit .378 in the eighth inning or later…had a .342 batting average at night compared to .221 during the day…appeared in 68 games in center field and 41 in left field…had 10 assists in 106 games overall in the outfield…hit .346 while playing center field…saw his most action with 43 games in the two spot in the order but batted .353 with a .429 on-base percentage in 36 games hitting leadoff…also hit ninth 31 times and had one game each hitting third, fifth and seventh…reached base safely via hit, walk or hit by pitch in 102 of his 113 games, including 53 of 55 on the road…went 0-for-2 in his first game but then had a 30-game reaching base streak from April 12 to May 18…batted .318 with a .463 on-base percentage during the streak…went 3-for-5 with three walks and scored a season-high four runs in a 24-2 win April 25 at Rome…the hits and walks were also season-highs…finished April with a .309 batting average and .465 on-base percentage in 16 games…stole a season-high three bases May 17 against Delmarva…was successful in 16 consecutive stolen base attempts from May 23 to July 12…had a season-high nine game hitting streak from May 27 to June 6…went 13-for-33 (.394) with 10 RBI over that span…reached base safely in each of his final 31 road games beginning May 27, which was the second longest such streak in the SAL…went 33 consecutive games without an extra base hit from June 5 to July 16…went 0-for-11 in a four game series against Lakewood June 21-24, dropping his overall average to .299…went 2-for-3 June 26 against Delmarva to lift his average to .304…it would not fall under .300 the rest of the season…matched his season-high with three stolen bases June 27 at Delmarva…was successful in 32 of his 34 (94.1%) stolen base attempts through July 12…then had six steals over his final 13 attempts (46.2%)…went 22-for-51 (.431) with nine multiple hit games over a 13-game span from July 20 to Aug. 9…was on the disabled list from July 27 to Aug. 2 with a strained left hamstring…batted .353 with a .433 on-base percentage in 23 games in August…went 4-for-7 (.571) with a walk and two stolen bases in two postseason games for the Suns…was named the "Fastest Baserunner" in the Nationals farm system by Baseball America following the season. Was selected by Washington in the 32nd round of the draft but did not sign until July 19…was assigned to Auburn of the Short-Season New York-Penn League and hit .262 with a home run and 18 RBI in 32 games…was successful in 13-of-14 (92.9%) stolen base attempts…hit .333 with his only home run against left-handed pitching compared to .238 against right-handers…batted .346 with 15 RBI in 16 games before the All-Star Break, .182 with three RBI in 16 games after the break…had a .303 average with runners in scoring position…batted .129 when leading off an inning…all 32 of his games came in center field and he did not commit an error in 71 total chances…hit in the bottom three spots of the order in 24 of his 32 games…also hit leadoff eight times…reached base safely via hit or walk in each of his first 11 games, batting .405 with a .500 on-base percentage…had back-to-back three hit games July 30 and Aug. 1 at Tri Cities…hit his first professional home run on the 1st, a grand slam…had a season-high four RBI in the game…was batting .371 as late as Aug. 20 but went 5-for-45 (.111) over his final 12 regular season games…then hit .333 (4-for-12) with two RBI and two stolen bases in four postseason games. January 7, 2019 OF Billy Burns assigned to Scranton/Wilkes-Barre RailRiders. 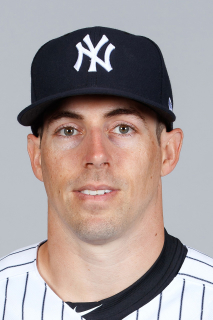 January 3, 2019 New York Yankees signed free agent OF Billy Burns to a minor league contract and invited him to spring training. November 2, 2018 CF Billy Burns elected free agency. June 16, 2018 Omaha Storm Chasers activated CF Billy Burns from the 7-day disabled list. June 11, 2018 Omaha Storm Chasers placed CF Billy Burns on the 7-day disabled list retroactive to June 9, 2018. May 10, 2018 CF Billy Burns assigned to Omaha Storm Chasers from Idaho Falls Chukars. May 2, 2018 CF Billy Burns assigned to Idaho Falls Chukars from Omaha Storm Chasers. March 7, 2018 OF Billy Burns assigned to Kansas City Royals. March 4, 2018 Kansas City Royals sent CF Billy Burns outright to Omaha Storm Chasers. February 28, 2018 Kansas City Royals designated CF Billy Burns for assignment. November 21, 2017 Charros de Jalisco placed CF Billy Burns on the reserve list. October 10, 2017 CF Billy Burns assigned to Charros de Jalisco. October 2, 2017 Kansas City Royals recalled CF Billy Burns from Omaha Storm Chasers. August 14, 2017 Omaha Storm Chasers activated CF Billy Burns from the temporarily inactive list. August 10, 2017 Omaha Storm Chasers placed CF Billy Burns on the temporarily inactive list. July 22, 2017 Kansas City Royals optioned CF Billy Burns to Omaha Storm Chasers. July 17, 2017 Kansas City Royals recalled Billy Burns from Omaha Storm Chasers. June 7, 2017 Kansas City Royals optioned CF Billy Burns to Omaha Storm Chasers. June 3, 2017 Kansas City Royals recalled Billy Burns from Omaha Storm Chasers. May 21, 2017 Omaha Storm Chasers activated CF Billy Burns from the 7-day disabled list. May 16, 2017 Omaha Storm Chasers placed CF Billy Burns on the 7-day disabled list retroactive to May 14, 2017. March 27, 2017 Kansas City Royals optioned CF Billy Burns to Omaha Storm Chasers. August 3, 2016 Kansas City Royals recalled Billy Burns from Omaha Storm Chasers. July 30, 2016 Kansas City Royals optioned CF Billy Burns to Omaha Storm Chasers. July 15, 2016 Oakland Athletics optioned CF Billy Burns to Nashville Sounds. May 2, 2015 Oakland Athletics recalled Billy Burns from Nashville Sounds. April 8, 2015 Oakland Athletics optioned CF Billy Burns to Nashville Sounds. September 1, 2014 Oakland Athletics recalled Billy Burns from Sacramento River Cats. July 31, 2014 Oakland Athletics optioned CF Billy Burns to Sacramento River Cats. July 28, 2014 Oakland Athletics selected the contract of Billy Burns from Midland RockHounds. March 30, 2014 CF Billy Burns assigned to Midland RockHounds. January 22, 2014 Billy Burns assigned to Midland RockHounds. August 2, 2013 OF Billy Burns assigned to Harrisburg Senators from Potomac Nationals. May 27, 2013 Billy Burns roster status changed by Potomac Nationals. May 17, 2013 Potomac Nationals placed CF Billy Burns on the 7-day disabled list. March 30, 2013 CF Billy Burns assigned to Potomac Nationals from Hagerstown Suns. March 6, 2013 Billy Burns assigned to Washington Nationals. August 3, 2012 Billy Burns roster status changed by Hagerstown Suns. July 29, 2012 Hagerstown Suns placed OF Billy Burns on the 7-day disabled list. April 10, 2012 OF Billy Burns assigned to Hagerstown Suns from Auburn Doubledays. July 22, 2011 Washington Nationals signed OF Billy Burns. July 22, 2011 Billy Burns assigned to Auburn Doubledays.